There are 6 posts tagged Slash and burn farming (this is page 1 of 1). The claims made on behalf of burying charcoal, otherwise known as “biochar”, are extraordinary. According to the International Biochar Initiative, it will “fight global warming”, it will “boost food security”, and it will “discourage deforestation”. Meanwhile, it is “inexpensive, widely applicable, and quickly scalable”. A dramatic new advertising campaign by US-based NGO Conservation International (CI) depicting the destruction of tropical rainforests as being like diseased human lungs could serve to further deepen confusion about the causes of deforestation. Woods Hole Research Centre: a reliable advisor on REDD? 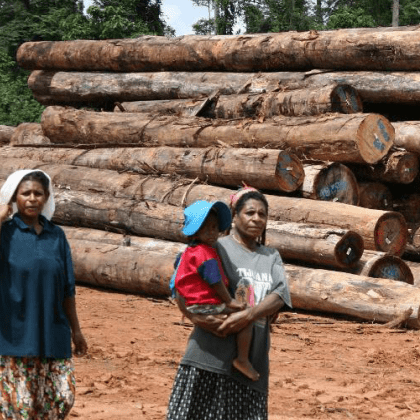 A growing number of forestry, conservation and remote sensing experts are questioning the role in the REDD debate being played by the Massachusetts-based Woods Hole Research Centre (WHRC).